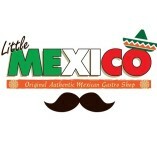 Description: Little Mexico, is a well-established ethnic restaurant that offers original and authentic Mexican food, located in Hexham Northumberland, this Gastro Shop gives you the true Mexican Experience through authentic food and a wide range... of products imported directly from Mexico. Extra services: We cater for events, from dinner parties, weddings and festivals to cooking in to your own home. Call or email us to discuss your plans to help make you event memorable.